Apply to face every morning and evening or as prescribed by your Certified SOS™ Skin Correction Specialist. Safe for use on sensitive and acne-prone skin. This rich moisturizer contains healing, soothing Aloe Vera Gel as well as a special moisturizing complex of Sodium Lactate, Sodium PCA, Hydrolyzed Collagen and the Amino Acid Proline. This powerful combination replicates the natural moisturizing properties of the skin. 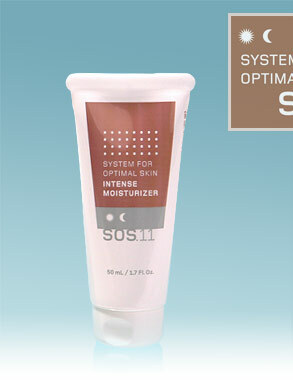 Daily use of SOS™ Intense Moisturizer truly helps to improve the suppleness, elasticity, and resistance to stretching and cracking of skin.